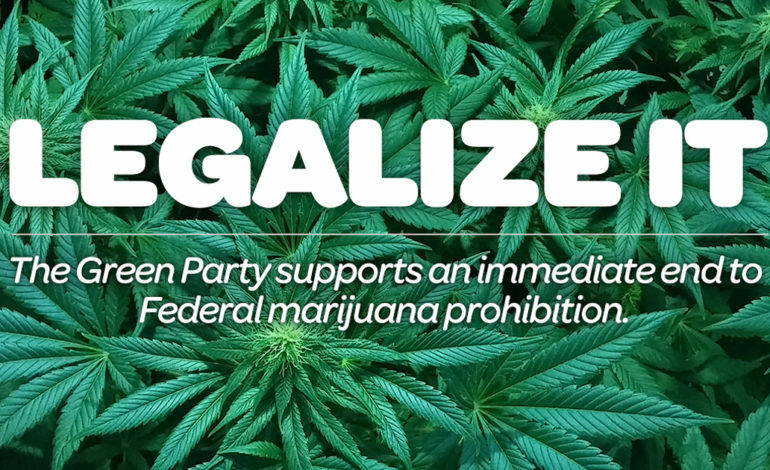 LANSING — The Green Party of Michigan announced its formal endorsement of Proposal 18-1 to legalize and regulate marijuana at its recent statewide membership meeting. The Green Party stated in a press release that it discussed concerns about Proposal 18-1 before taking a vote to endorse it. The press release also included Green Party candidates currently running for seats in the state house and senate who are individually supportive of Proposal 18-1. State Senate candidate Eric Borregard of Webster said he thinks the revenue from taxing legalized marijuana could help improve state infrastructure and education. “A major new medical-marijuana facility in my hometown of Marshall is an example of the good that can happen when we focus on beneficial use and regulation, not prohibition,” said John Anthony La Pietra, a Green Party candidate for state representative in the 63rd District. As stated in the press release, Wade Paul Roberts of Wetmore, a candidate in the 38th State Senate district, is an advocate for decriminalization and industrial hemp production. “People who have convictions related only to possession of the substance or paraphernalia should have their records expunged,” said Robin Lea Laurain of Lansing, a Green Party candidate for the 68th District. “When prop 1 is passed in November, we should look to expunge the past records of offenders,” said Jessicia Smith, of Waterford, a candidate for 14th Senate District. After a statutory initiative passes, the governor will not be able veto it. Any later changes can only be done by a 3/4 supermajority vote in both the House and Senate. The Green Party of Michigan has four candidates running for state senate and three candidates running for the State House.